According to Weir Minerals Africa pump product manager, Marnus Koorts, the wear life and efficiency of a high-quality pump may not be optimal if the selection of other pump circuit components such as valves, pipes and bellows is neglected. MechChem Africa finds out more. “Every piece of equipment in a mill circuit has an effect on the whole system and when people simply focus on the primary pump, for example, its life and performance may not achieve the desired results if the selection of all the other system components is neglected,” Koorts begins. “We at Weir Minerals Africa work in conjunction with our clients to provide holistic integrated solutions to improve the performance of their circuits, rather than focusing on the initial capital cost of individual pumps, valves or piping. While we believe we have some of the best individual products available, Weir Minerals Africa is more than just a premium equipment supplier. We strive to implement complete solutions that offer mines the lowest TCO with the longest wear life and highest possible energy efficiencies,” he explains. For mill discharge slurry pumping, Koorts believes the Warman® MC range, is the best in the world. “Slurry pumps are the largest contributor to the cost of consumables on a mill circuit, but any slurry pump will wear at an alarming rate if not installed into a suitable system and properly maintained. “Our state-of-the-art Warman MCR and MCU pumps are designed to manage dense abrasive slurries that have large particle sizes. 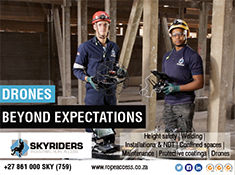 They offer the best combination of ruggedness, durability and hydraulic efficiency through the patented design characteristics and materials incorporated. They have been developed to enable the pump to perform in applications from the most difficult mill discharge duties to water-flushed crushers and mineral sands applications. Key to improving the wear life of these pumps are large diameter, low-speed, high-efficiency impellers. And for maintaining efficiency, a simple full-face side liner adjustment enables the gap between the impeller and the throat bush to be quickly and easily adjusted. “Even when using the best available pump, however, it is very important to build the surrounding system to minimise the pump’s consumable and energy costs,” says Koorts. “Operators can often achieve a step-change in operational costs simply by optimising the circuit around one of our Warman MC pumps,” he adds. Knife gate valves, he continues, are typically needed on the inlet and discharge ends of a mill circuit pump. “If a pump is started into an empty system without a discharge valve, then it sees a very low head with little initial resistance. This will cause the pump speed to ramp up rapidly until it is to the extreme right of its pump curve, resulting in cavitation and impeller damage as well as wasting energy. In severe cases, the pump motor may even blow. It is therefore standard practice to start a mill circuit pump with the discharge valve closed. If done properly, this can significantly increase the lifetime of more expensive components such as pump impellers and motors,” Koorts notes. The valve, he explains, quickly generates backpressure to simulate normal operation into a fully flooded line, preventing pump overspeed. These valves can be controlled via the PLC to automatically open to enable the product to flow at an efficient speed after the pressure has built up. “By also installing a valve on the inlet side of the pump, the mill circuit pump can be isolated from the external circuit, enabling repairs or maintenance to be done without having to waste the many tonnes of product trapped in piping. Even if this valve is seldom needed, it can save huge amounts of valuable product as well as making the maintenance task far easier and quicker,” he adds. In term of installation, however, Koorts suggests that the valves need to be positioned at a suitable distance away from the pump inlet or discharge. “Valves create turbulence in the product flow and, to reduce wear, a lot of research has been done on the MC pump’s throat bush design to reduce turbulence going into the pump. So if a valve is too close to the inlet of the pump, the turbulence increases and the excellent technology built into our Warman designs is undermined,” he points out, adding that, due to back turbulence, this is also true of the discharge valve. 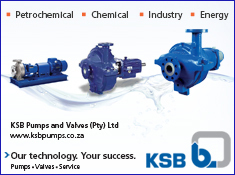 Koorts advises that the inlet and outlet valves need to be clear of the pump by at least two pipe diameters. On the valves themselves, he says that most knife gate valves have a seat at the bottom of the valve to seal against the knife. “But when handling slurry, there is always some trapped material in the seat that caused the valve to drip or leak due to its inability to close fully.